I mentioned after Christmas that I'd been inspired by Annabel to become serious about stocking a gift box this year with a variety of handmade presents, and this past week I made a good start. I'll share a tutorial with you today for one of them, but first of all let me show you the pretty bookmarks I made using some of the small motifs from my new 'Simple Pleasures, Life's Treasures' design. 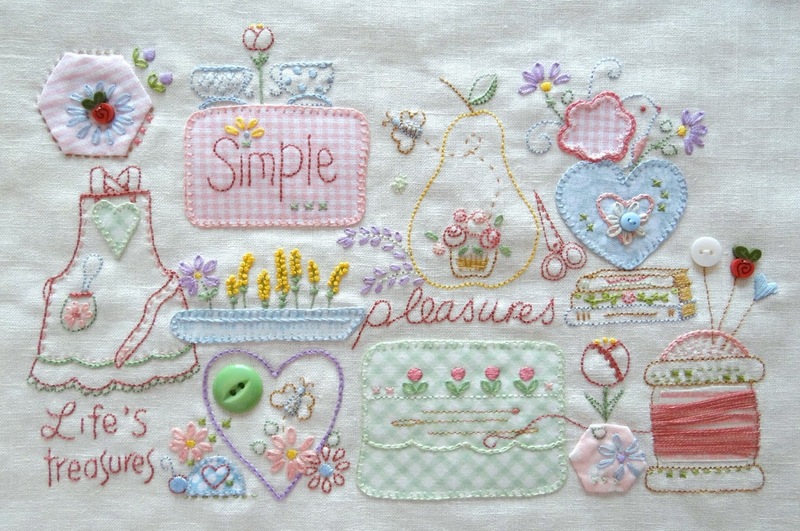 Here's the large stitchery (for January's issue of The Stitchery Club). Bookmarks are lovely gifts because most people read, and I'm always looking for a bookmark myself due to the many books and magazines I am reading bits and pieces of at the same time. 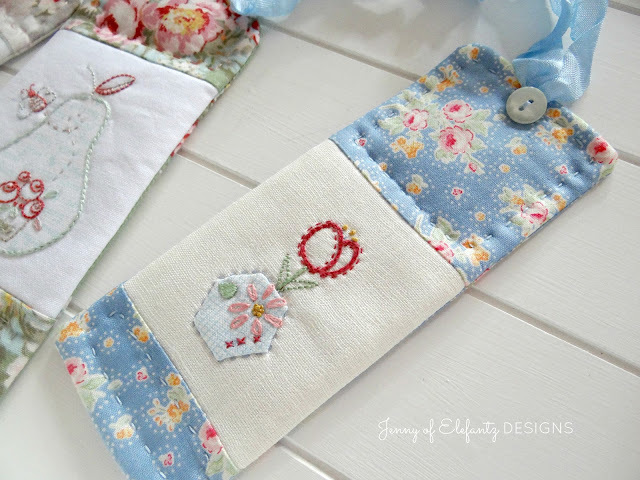 You could use any small embroidery to feature on a bookmark, but what about raiding your fabric and lace scraps for a simpler but just as lovely one. Add a final touch of creativity by using ribbon, buttons and beads for the top and you have something very special indeed. 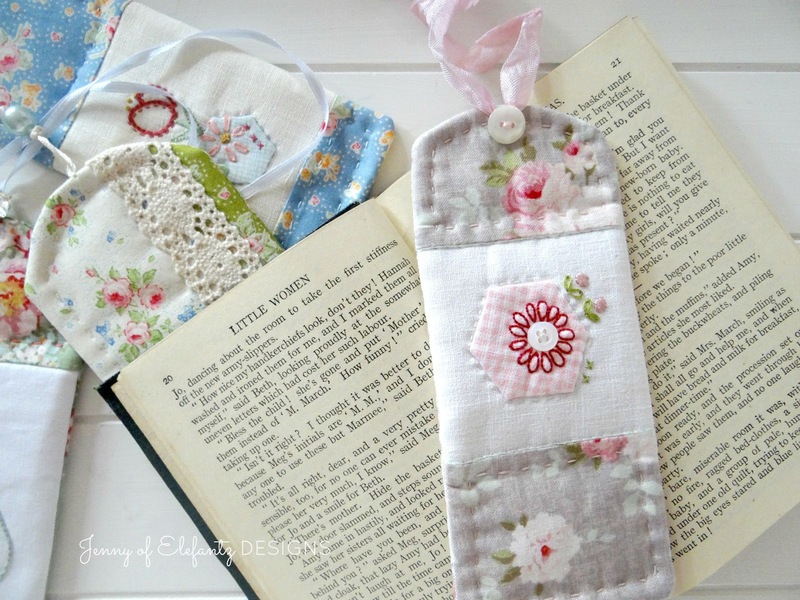 Bookmarks can be posted in a card or with a letter, or placed inside a book for gift giving. I spent a couple of evenings stitching the three embroideries (the tennis is on, yay!) and about 2 hours making all four bookmarks. These were the perfect kick-start to my 2018 Gift Box! This morning I headed into the sewing room while it was still cool enough to play without the air conditioner. With the few rain storms we've had during the night lately the trees outside my window are lush and full of foliage so it's very shady in there...which isn't the best for taking photos but not awful either, so I'm sure you'll still find them useful. I have two little granddaughters turning 4 this year, and a grandson turning 2, and they all live a long way south in another state where the weather is cool in autumn and cold in winter. 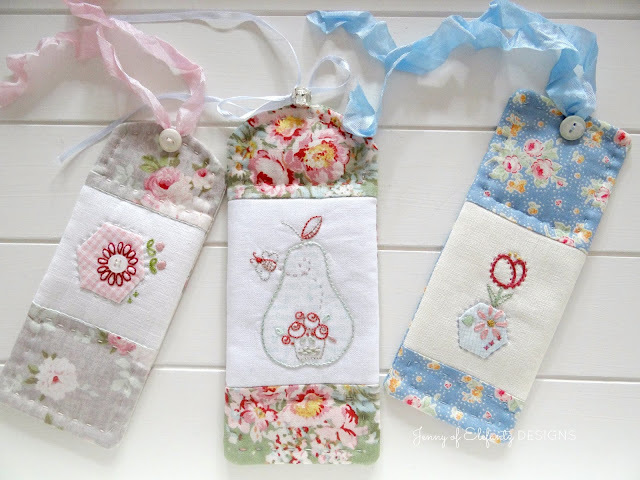 As their birthdays are all around late Autumn and mid-Winter I thought a useful and warm present would be best, so I have made the first of three Cuddly Heat Packs. 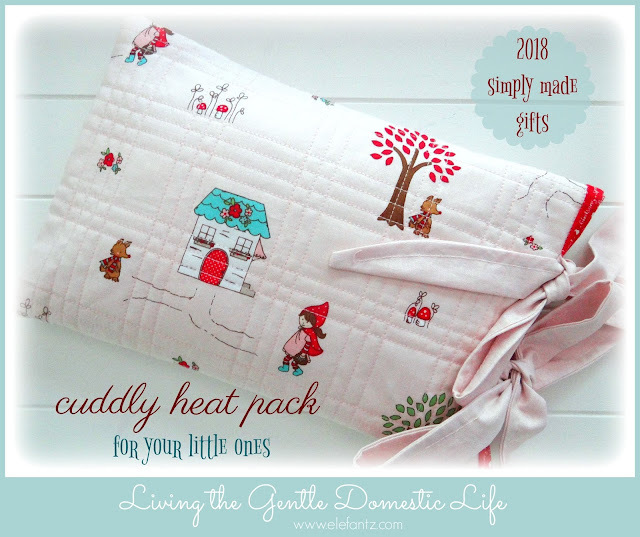 It's larger than a heat pack you'd make for an adult because it's meant to be cuddled in small arms like a hot water bottle, and because it hides a microwaveable wheat pack inside it's much safer for our precious munchkins too. My plan is to make as many gifts as possible this year from my fabric scraps and stash as we're saving for a house deposit and every dollar saved is a dollar toward a home of our own. To make this heat pack I used left over cotton quilt wadding, a scrap piece of Tasha Noel's 'Red Riding Hood' fabric, pale pink homespun of which I'd bought 5 metres @ $3 mtr last year when Spotlight had a big sale, and some local raw wheat berries. I began with fabric pieces about 8" x 12" and after placing the cotton wadding behind each piece they were machine quilted with straight lines. Then I trimmed them both to 7 1/2" x 11" before laying them right sides together and sewing around three sides, one narrow end and both long sides, with 1/4" seam and then turning the heat pack right side out. Keep the heat pack right side out to complete the project. I cut four, 2 1/2" x 17" lengths of fabric from the pale pink homespun. 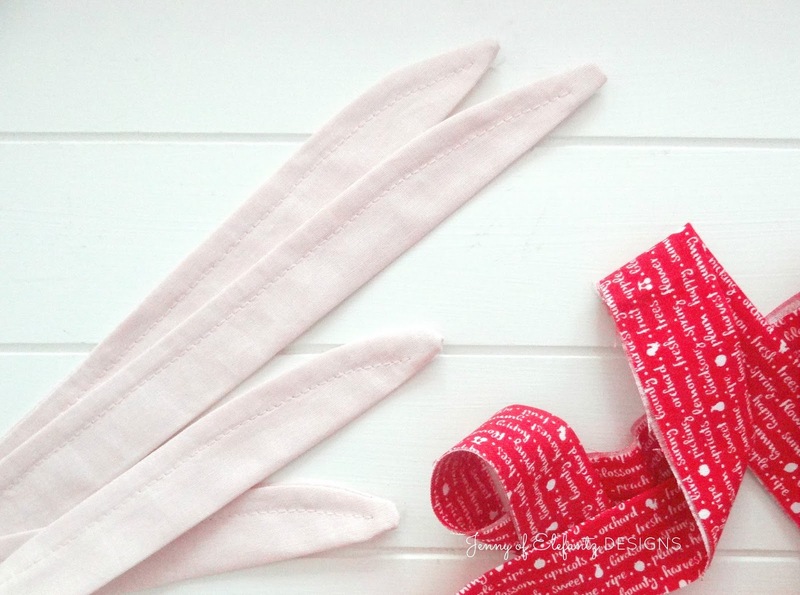 Fold one in half lengthwise and sew along the raw edges with a 1/4" seam, gradually veering off to a point to close one end in but leaving the other end open. Turn them right side out, press flat and sew a 1/4 line inside the edge with the seam. Cut one 2 1/2" x 26" piece of contrast fabric to make binding. Pin two of the pink ties across the top front of your heat pack, about 1 1/2" apart, and pin two to the back the same distance apart. 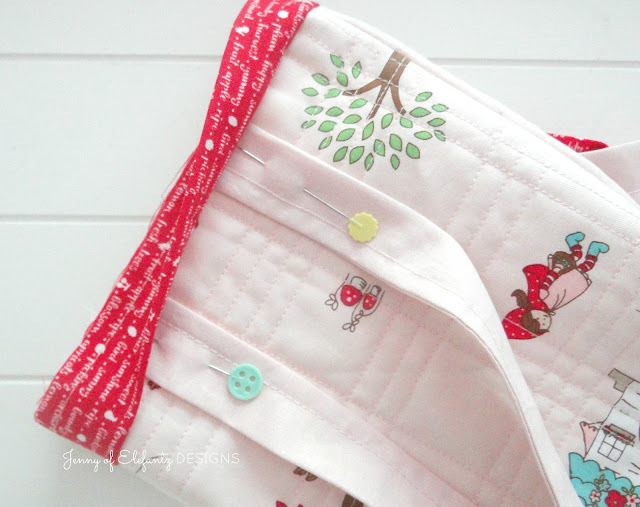 Sew them in position with a scant 1/8" seam. Attach the binding around the opening of the heat pack the same way you would for a quilt, raw edge to raw edge. Pin the ties out of the way while you do this. Press the binding away from the heat pack and turn it over to the inside. Hand stitch or machine stitch in place. The outer cover is now complete. 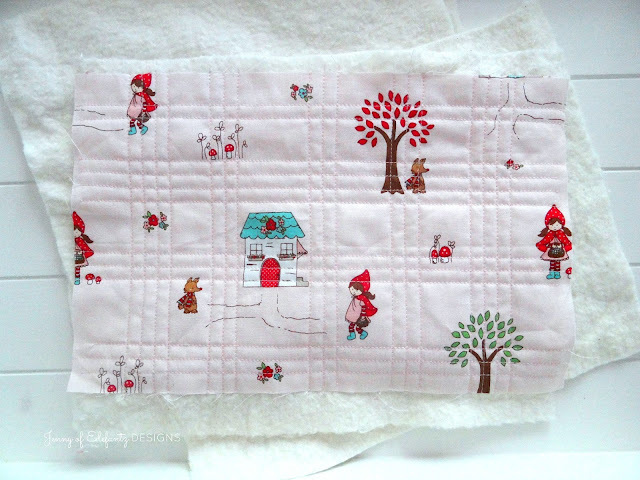 Cut one piece of homespun or calico 10 1/2" x 14". 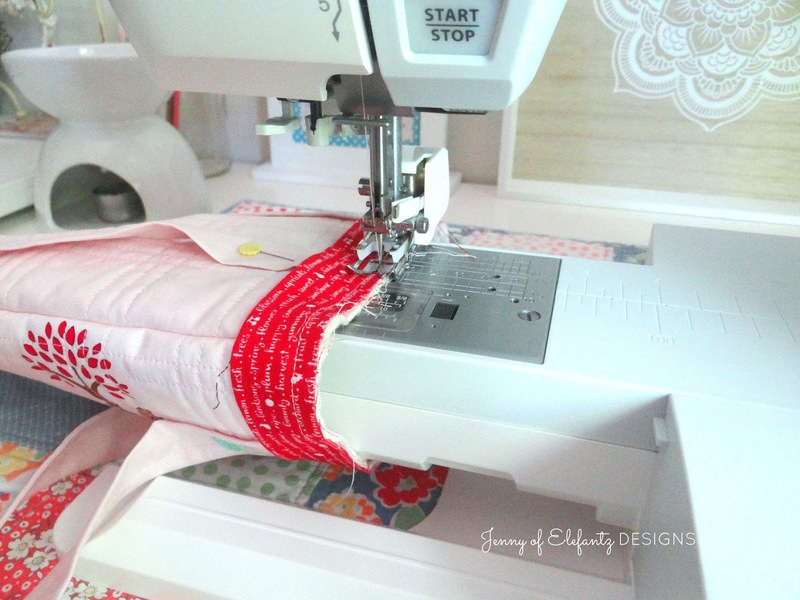 Fold in half so that it measures 7" x 10 1/2" and sew across both narrow ends with a 1/4" seam. Press a 1/2" hem inside the edge of the open side but do not sew it down. Sew a 1/4" seam 2" in from both ends of the opening of your insert bag, still leaving an opneing in the middle for filling later. Sew around the outside of the insert with a 1/4" seam to encase the inside raw edges (like a French seam) but still leaving the small opening untouched. Fill the insert with about 3 - 3 1/2 cups of raw wheat berries or uncooked rice. You want it about two-thirds full, no more than that. Carefully machine sew the opening closed. I went over the closing seam twice just for good measure as I don't want any accidents with wheat berries falling out or holes in the seams. This is also why I enclosed the other seams earlier. This insert now slips inside the heat pack cover. The insert is the only part of this gift which goes in the microwave. Remove it for heating and then slip it back into the cover before giving to the child. ...and your gift is ready! One down, two more to make. And I'm going to take Janita's advice, who left a lovely comment on my blog before Christmas about the gifts she gives her grandchildren each year - pyjamas and a book. 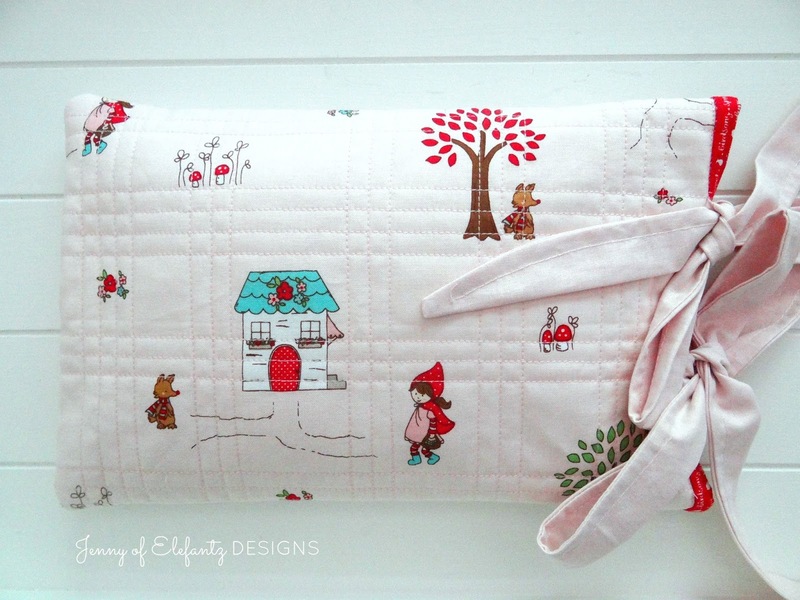 Lovely cosy, snuggle up gifts. So along with their cuddly heat packs I'm going to include a pair of warm flannie pjs as well - purchased, not made. LOL! I'll regularly share simple ideas and tutorials for homemade gift giving this year, plus my friend Fee is going to join in as well. 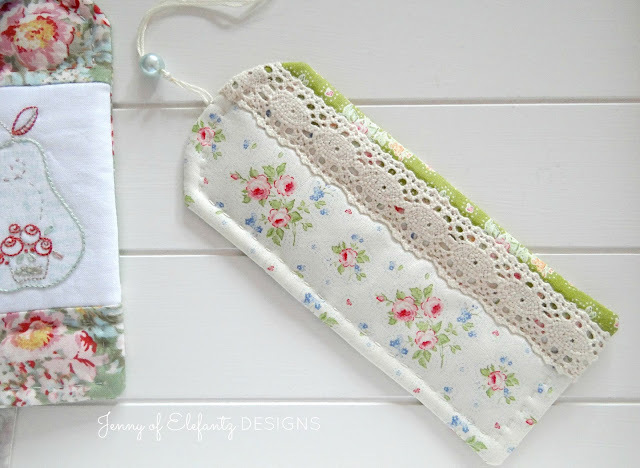 If you pop over here to her blog she has a wonderful tutorial for tissue pack covers, another gift that can be posted easily or gifted with something else. So pretty! 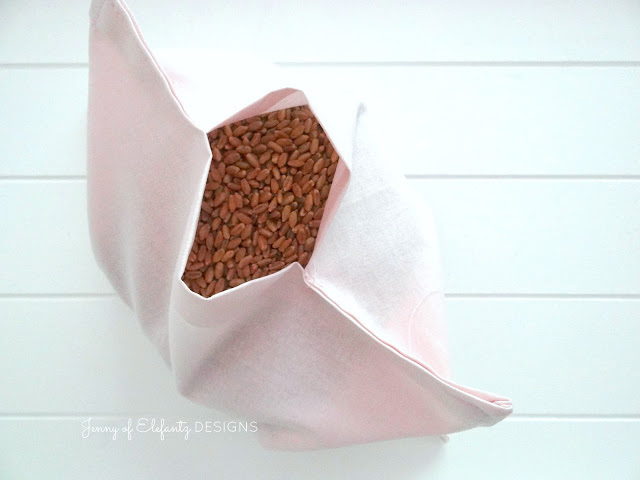 One of the ladies in our Gentle Domesticity group shared a link to this tutorial recently. 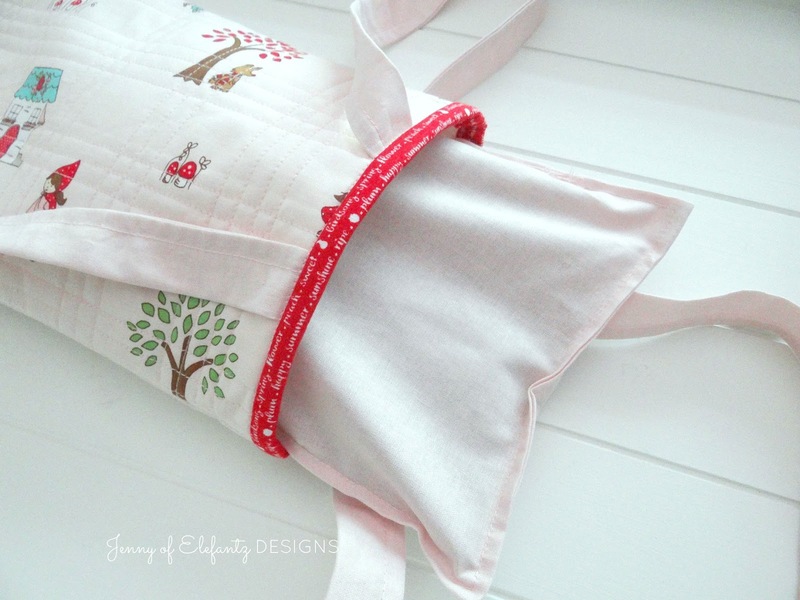 These soup bowl cozies are fantastic and have made it onto my to-do list. As a gift they'd be lovely teamed with a few good soup recipes or a set of soup spoons if they're for a family. Perhaps for a single person you could include a pretty bowl with a cozy? Enough for today, we'd best not get overwhelmed with too many ideas straight away...if you're like me you're more likely to make something if there's just a few choices, whereas if I have too many I tend to feel overwhelmed and don't make any at all! 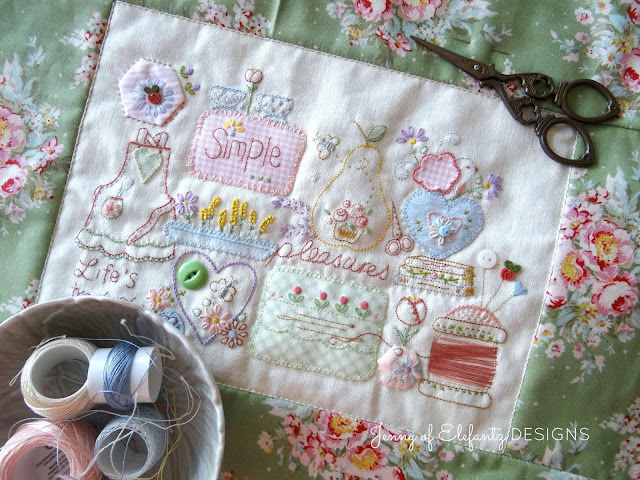 What I like about the four ideas I've given you today is that each one can be made from what's already in our craft/sewing supplies, and that's a bonus in my book. It means no running around town or all over the internet looking for bits and pieces. 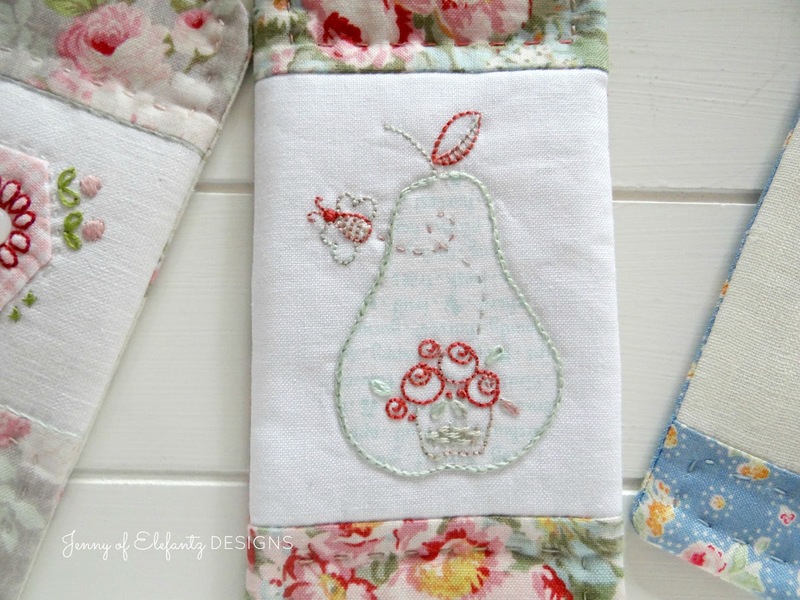 Just walk in to your sewing space and make a start with what's on the shelf. It's like making meals from leftovers. The sense of satisfaction is sublime, not to be underrated. Speaking of leftovers, that's what we're having tonight. I baked a huge Shepherd's Pie for last night's dinner and it was so good we're going to polish it off with slices of today's fresh baked bread. 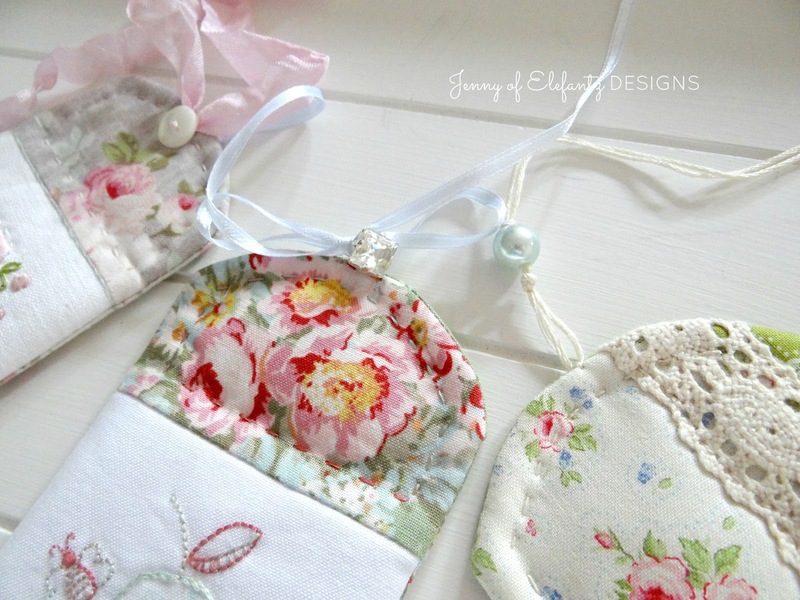 Beautiful gifts and ideas Jenny. Thank you. You must have the absolute most beautiful fabric in your stash. 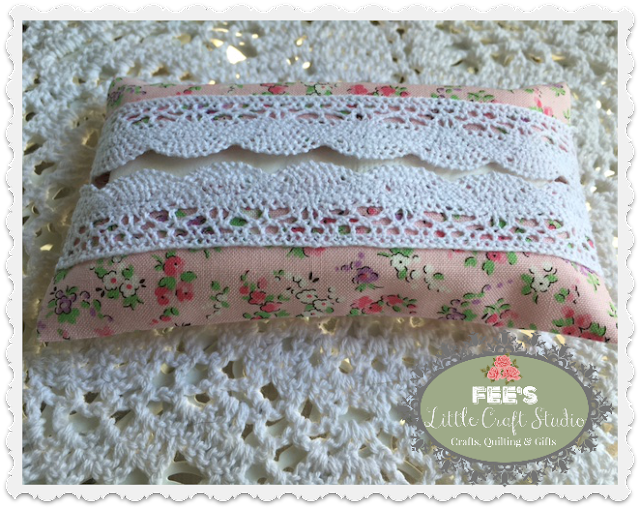 Your designs always feature such pretty fabrics. Love them all. I need to get my motor running and into gear and start sewing. Your gifts are so lovely and would be loved by all. Thank you. 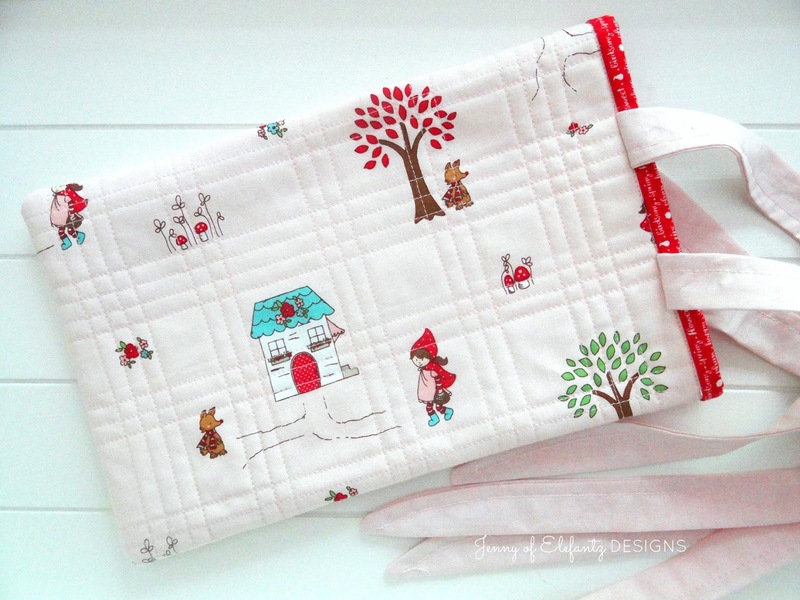 I will follow your example and start sewing some gifts to stash away. As you said bookmarks are so lovely and still in demand in this day and age. Great ideas for gifts and stocking fillers and also great they can be made from stash. Thanks for the ideas. Jenny I am sure you and Annabel would get along like a house on fire :-) Thanks for those lovely gift ideas. Great ideas Jenny, never thought of bookmarks like yours. I am thinking I could make some with a stitched design of our church on them to sell, for much needed funds. Every morning there is a new post from Jenny is a lovely day, sets my mind on a gentle pathway. Thank you. Some great ideas Jenny. Love the little book marks,these are a must do. Grabbing the bowls too. Been meaning to find a pattern, thanks for making that easy. These are all so lovely! Thanks for the ideas. I have always had a box filled with things to give as gifts...not sure where I got the idea from, but it really works. How smart of you to be starting on gifts for the grands early so you are not burning the midnight oil trying to get them finished the night before! Love the idea and the way you made the heat packs. I'll have to hunt around for the raw wheat berries. I wonder if I could use something like lavender oil on the heat packs to encourage sleep? That heat pack makes me want to snuggle right up - so darling! And the bookmarks are just gorgeous. 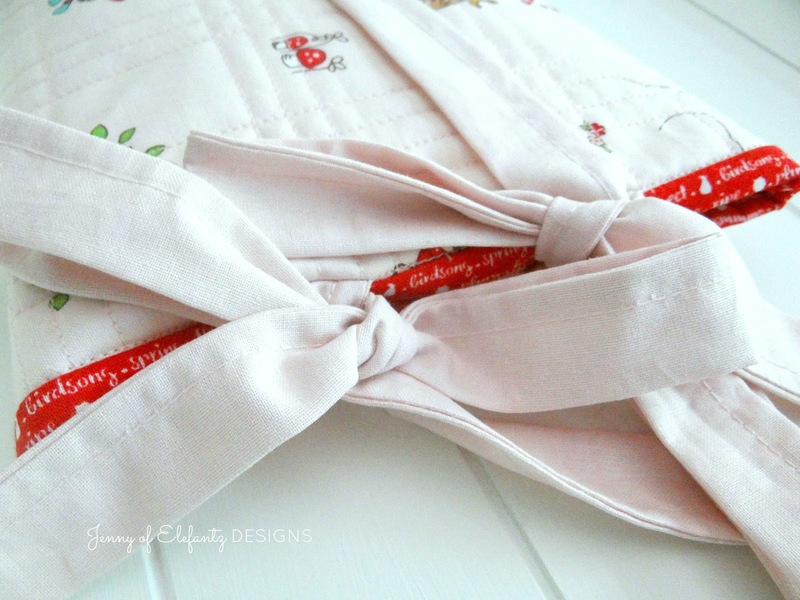 I'd love to make gifts this year too - but I have the attention span of a gnat and keep forgetting, lol! Hello Jenny: These are all such special treasures you have made! 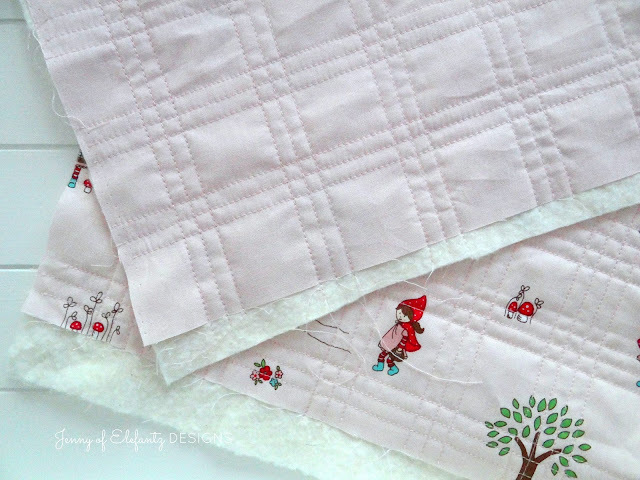 Right away, I wanted to put away the quilt block I am quilting and go and find all of the supplies I need to make each and every one of these gifts! They will all be so perfect for gifts for Christmas and actually throughout the year! I keep forgetting about the Gentle Domesticity group, darn it! Thank you for these wonderful ideas and for sharing your love! I will be praying for your finances to grow as quickly as possible for a new home! I wish you a fantastic day! What great ideas you have Jenny & so useful too. I love that Little Red Riding Hood material. The soup bowl holders are really great & such good ideas for other uses too. Thanks for these. I also love you blog. I read it everyday. I made 19 of the soup bowl cozies to give to my family members for Christmas........they loved them. Now I will have to make some book markers because we are all readers. Thank you for you wonderful blog. Jenny, you always post the most prettiest items. I love them all especially the heat pack. That is such a lovely gift idea. 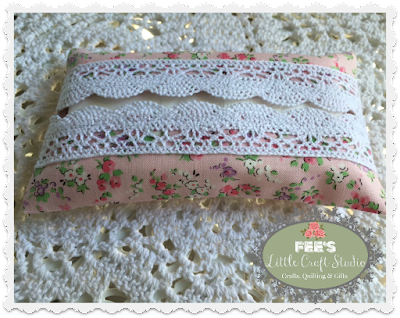 I often make my grands pillowcases. They are easy to make; google magic pillowcases. They also make a nice gift for someone starting their own home. Such beautiful gifts, anyone would be pleased to receive them! How gorgeous are those bookmarks! The heat pack is a great idea . Such lovely gift ideas. your remark, "we'd best not get overwhelmed with too many ideas straight away...if you're like me you're more likely to make something if there's just a few choices, whereas if I have too many I tend to feel overwhelmed and don't make any at all!----That's what happens to me too! Mom my is coming to Arizona (from Michigan) next month for 5 weeks. She and I both quilt. 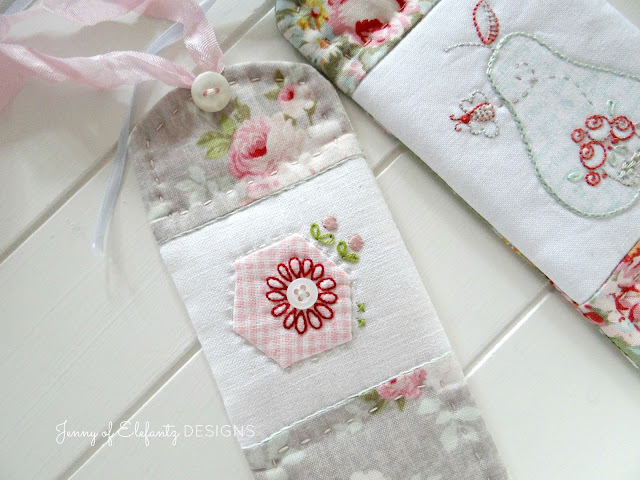 I think making the bookmarks will be a lovely sewing day for us. THANK YOU FOR INSPIRING ME!